Williamson Landscaping is a family-owned company established in Dayton, Ohio in 1999. 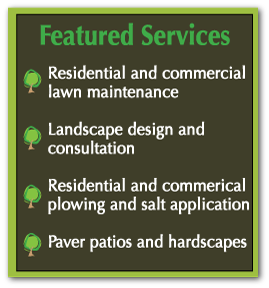 We provide quality custom landscape design, installation and maintenance, as well as plowing and salt application. Servicing both residential and commercial properties throughout the Dayton area for more than ten years, our professional team has the knowledge and expertise to handle the most difficult landscaping challenges. Please contact us today and see what we can do for you!